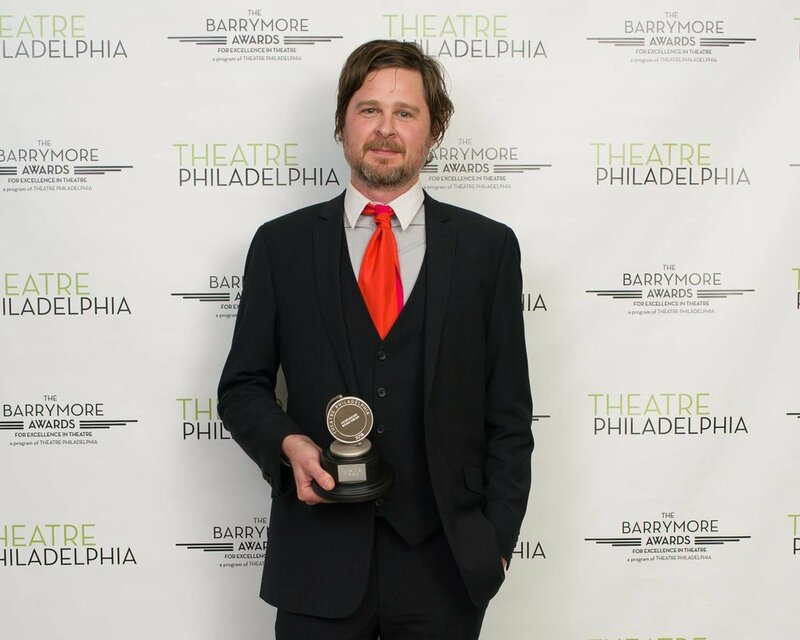 I was lucky enough to attend the Barrymore Awards last year for the first time when I started at Azuka for my co-op, and was stunned by a room full of enthusiastic and passionate artists, all working in the city where I wanted to stay, to become a part of this community. 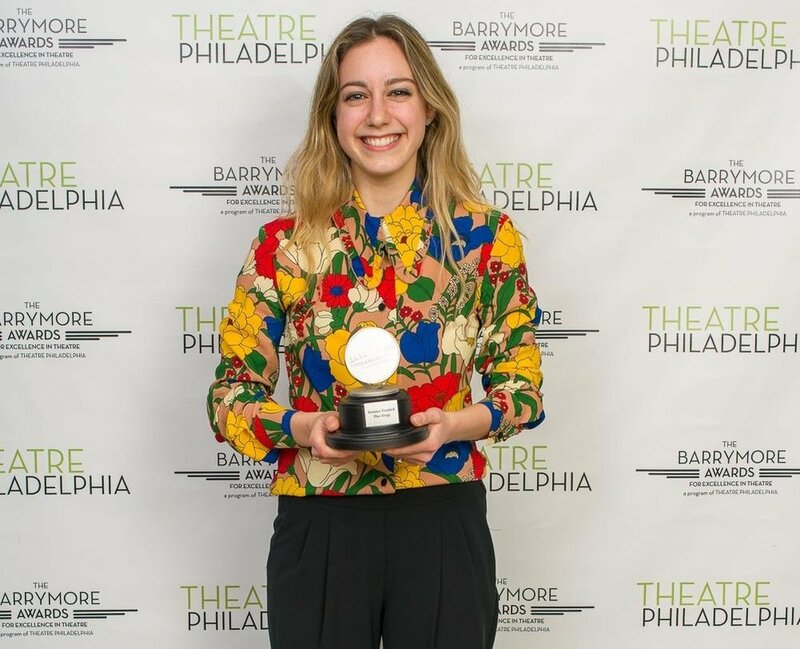 And this year, I got to see the brilliant Emma Goidel and Michael Kiley of THE GAP bring home, respectively, The Independence Foundation Award for Outstanding New Play/Musical and the Bauder Audio Award for Outstanding Sound Design! 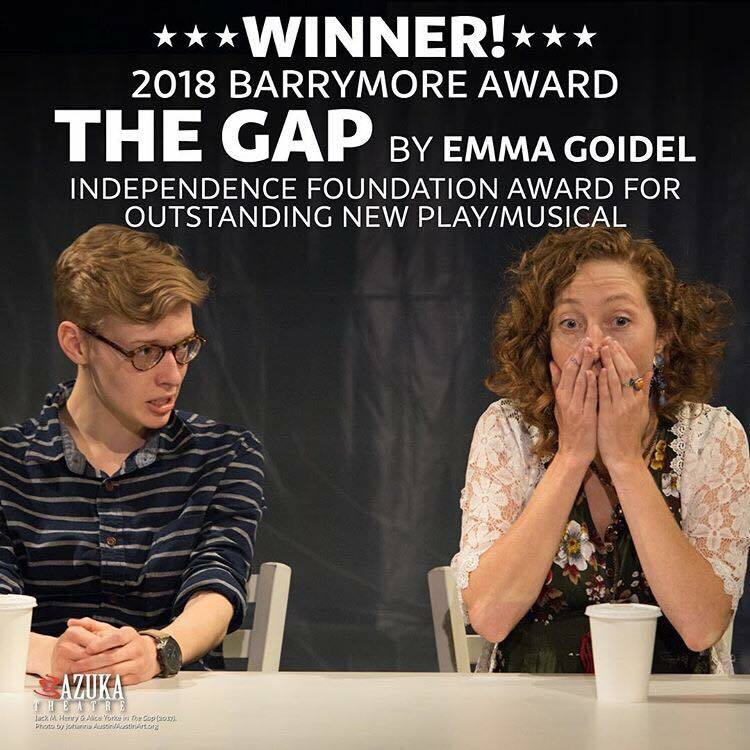 So well deserved; congrats to Emma, Michael, and the whole team of THE GAP! And a huge CONGRATULATIONS to each and every winner and nominee from Monday’s exciting celebration. And I hope you listened to all of the reminders — and VOTED!